JFrame is top-level window in Swing package. It is the extended version of Frame in Awt package. Unlike Frame, JFrame has its child container called contentPane in which all non-menu components are placed in. By using JFrame, you can write only a line of code to close the window created by the JFrame by invoking the setDefaultCloseOperation(int operation) method. creates a new invisible window. 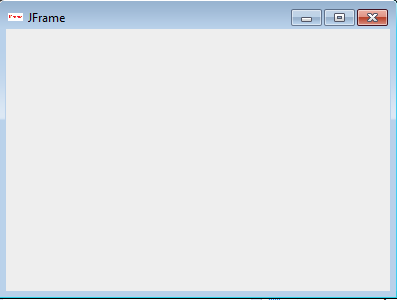 creates anew invisible window with specified title. returns the contentPane object of the window. sets the defaut close operation of the window. sets the menu bar to the window. sets the image icon of the window.